It's been a long, dreary week, folks - but salvation is just a few hours away. Thank Disco It's (Hallowe'en) Friday! Have a spooky weekend, peeps! 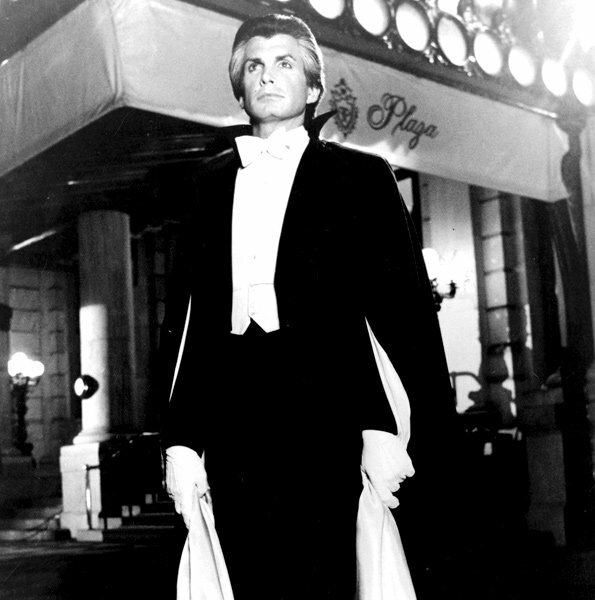 I'd forgotten how beautiful George Hamilton is in this, but then, I had also forgotten Susan St. James' wig. Saw this at the theater when I was a kid, back when they let kids see movies like this without parents. It's a good thing because George Hamilton made me tingly down there. I saw this this first when I was about..15? I was vaguely interested in George... but possibly more interested in who I saw it with. Not so much biting, as..?